The next Porsche 911, generation 992, is still under wraps in these official photos, but is easy to see the family resemblance. 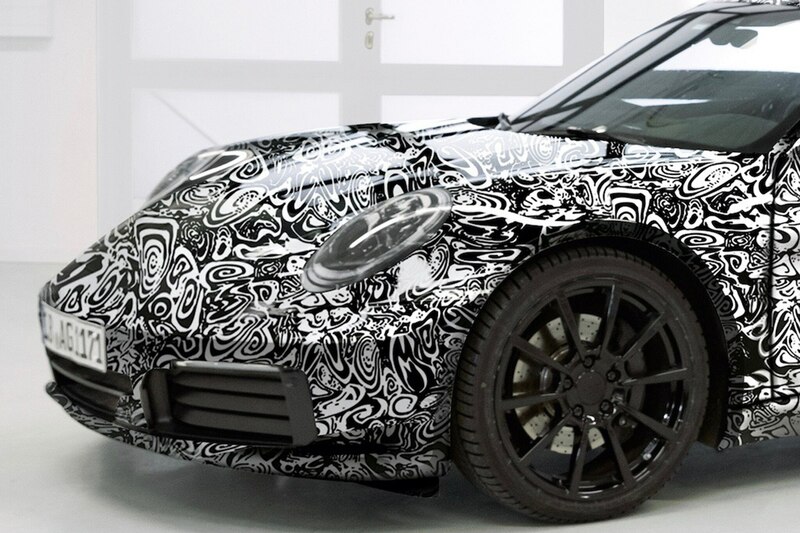 It looks great in the black and white camouflage and two things are certain—it definitely has a steering wheel and it doesn’t have an electric motor—yet. August Achleitner, 911-model line director, spills the beans to Christophorus magazine. He tells the Porsche customer publication about the steering wheel scoop and confesses the 911 would likely be one of the last cars to drive autonomously. “The decisive factor is that the 911 generates a driving feeling that no other car can impart,” said Acheitner. Nobody buys a Porsche for adaptive cruise control or lane-keeping assist, right? “Those are convenient and useful things. But the customer has to make the choice to use them and, above all, be able to switch them off when they’re not desired,” he tells the magazine. While self-driving Porsches are unlikely, the electrification of the 911 is definitely on the horizon. “Two years ago I’d have said no way. Today I wouldn’t categorically rule it out,” said Achleitner. Rest assured, the 2019 911 won’t have an electric motor paired to its flat-six engine, but it could be available as an option not that far down the road. “I drove the prototype of our coming electric sports car, the Mission E, and it was a very compelling experience. And the performance of the Porsche LMP race cars with hybrid drive systems is quite simply sensational,” said Achleitner. Stay tuned for more spy shots and teasers before the official launch next year, but until then Achleitner offers up a promise.